We chat to Nickelodeon’s Marianne James about retaining its position as the ‘home of preschool’. With Brand Licensing Europe fast approaching, The Source caught up with a number of licensors and agents with successful properties in the preschool space to find out their plans for the remainder of the year, thoughts on the retail landscape, trends and why the show is so important for them. Which preschool brands will you be showcasing at BLE? 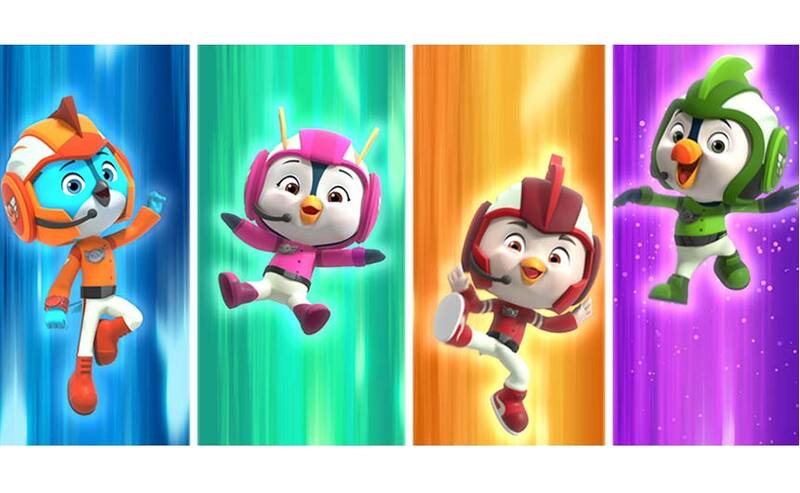 We will be presenting plans for established Nickelodeon hits like PAW Patrol and Shimmer and Shine, as well as its strategies for newer shows like Nella the Princess Knight and Rusty Rivets. Moreover, we will be sharing retail, product and programming plans for our exciting new CP lines launching in 2019 like Top Wing and Sunny Day. Can you run through how the licensing programmes for each are shaping up? PAW Patrol remains the number one preschool licensed property and ranks within the top three total market. It is the fastest growing girls license in the UK and with the launch of series five this year, we will be introducing new themes and fresh style guides to our partners to create must-have ranges. This year we have also introduced new publishing products via Centum; we have a new agreement with Subway; and we have moved into a new sector with the launch of a PAW Patrol Kellogg’s cereal. Shimmer and Shine dolls have performed well and Mattel’s basic doll has taken the market by storm making NPD’s Top 10 in the doll category in the first year of sale. The launch of series four this year will see the introduction of new characters and the new Mattel range will also include the highly anticipated Zahracorns. In January 2018, we had the CP launch for Nella the Princess Knight through master toy provider Vivid. This was followed by the apparel launch in May 2018, with George being the first retailer to market. Series 2 has now been confirmed and the introduction of new characters, new locations and new powers will lead to new style guides and assets to produce captivating new ranges for retailers. The apparel launch for Rusty Rivets at the end of June was again with George, the first retailer to market. The CP toy launch for Rusty Rivets took place in July, and the Botosaur remains a popular purchase from the line. 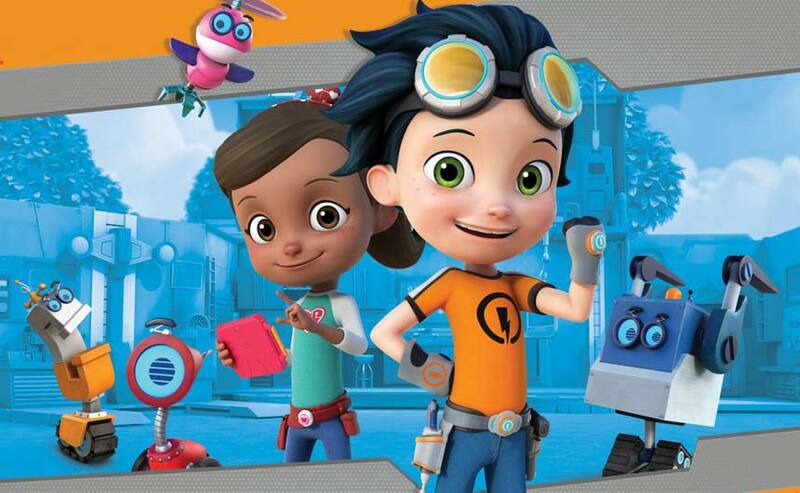 Series 2 recently launched on Nick Jr. and it is performing well. Next year, we will be launching the CP range for popular CG-animated show Top Wing. Our master toy partner is Hasbro and we have high hopes for the product line given its popularity on the UK network. Sunny Day launches in AW19 with exciting products for girls aged 3-6 courtesy of master toy partner, Mattel. The Sunny Day Van tour with Walmart in the US was very successful and there will be a delightful style guide which bodes well for a marvellous doll and play-set range. Will there be any new launches or sneak peaks of upcoming brands? 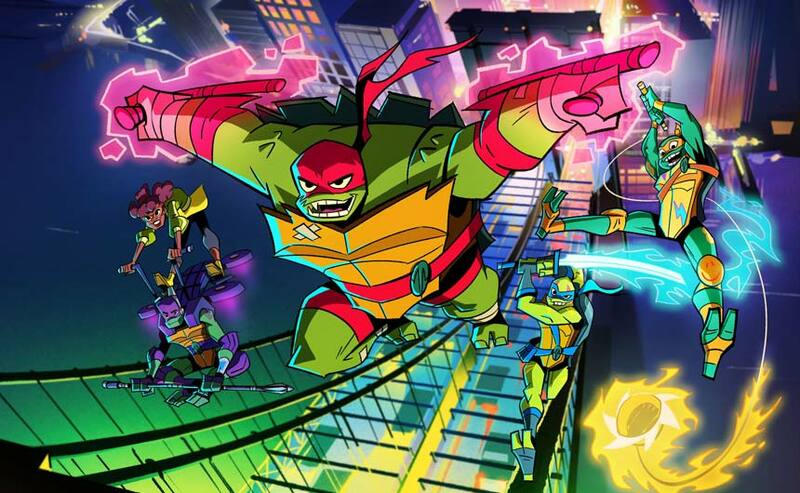 Rise of the Teenage Mutant Ninja Turtles is our key Nickelodeon priority. Flair is the UK distributor and will be introducing an awesome range of toys to market on October 5. In May 2019, JoJo Siwa will be celebrating her 16th birthday, and we are putting together a comprehensive CP program to celebrate the moment. Additionally, JoJo will be coming back to Slimefest at Blackpool Pleasure Beach later this year. And 2019 will be the year of our eternally optimistic SpongeBob Squarepants, as he celebrates his 20th birthday! There will be a new TV series coming to Nicktoons along with a new CP range via master toy provider Alpha Toys – both ahead of the new SpongeBob movie in 2020. Have you seen any major trends emerging over the course of 2018 in the preschool space? As a brand owner, how have you been able to react to those? Our philosophy is ‘kids rule’ and ‘play’ is at the heart of the Nick brand. From our research, we know that kids learn how to grow up using play, and these insights guide everything we do form consumer products perspective. 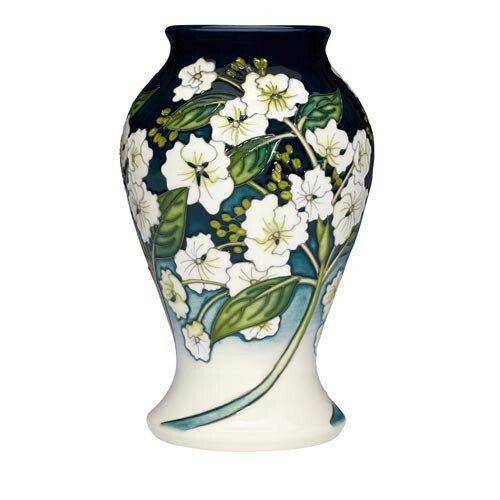 This year we have seen collectibles continue to perform strongly and evolve. For Shimmer and Shine we launched the Teenie Genies via Fisher-Price. The range comprises different themed genies inspired by the show. Retailers sold them at accessible price points, and the range is already a great success amongst its core fan base. We are now going far and wide with a product line featuring new accessories, such as a carry case and collector’s guide. How important is BLE for you when it comes to showing your preschool brands? BLE is attended by all the key European players in the industry across the retail and licensing business. It provides an excellent platform for Viacom Nickelodeon Consumer Products to share its plans for the next 24 months, as well as giving us the chance to introduce new properties to market. What messages will you be looking to convey to licensees and potential licensees at the show? We are keen to communicate that Viacom Nickelodeon is now one unified, global consumer products organization led by Pam Kaufman, President. As Viacom Nickelodeon Consumer Products we have a single voice at retail for ‘Every age, Every aisle, Everywhere around the world’. Nickelodeon is still the home of preschool. 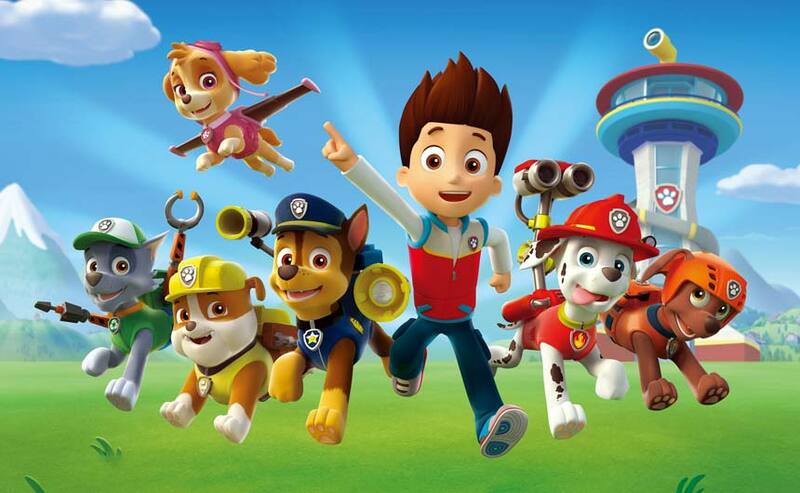 PAW Patrol, as Nickelodeon’s top rated show continues to be a major retail success for us. Furthermore, we also have a wide range of new property launches, such as Rise of the Teenage Mutant Ninja Turtles and Top Wing. Each series in our pre-school portfolio offers something unique to audiences and is supported across the Nick Jr. team; not only those working on the consumer product side of our business, but all areas including, insights, programming, digital and marketing. We really are kids’ experts at Nickelodeon and our continued success in the market proves that. How healthy do you think the preschool licensed sector is in general? The preschool landscape has become more competitive with new properties launching every year. Sales have been affected across the market, but PAW Patrol remains the number one preschool licensed property. Digital has become more important for our properties, and it will be interesting to see how new preschool block on ITVbe will impact the preschool market. How easy is it for new brands to break through at the moment? It’s never easy launching a brand. New properties need to be innovative and brand owners need to think outside the box. We are fortunate that Viacom Nickelodeon Consumer Products has an agile cross discipline team to successfully nurture and bring new brands to market. What would you most like to achieve for your preschool brands from this year’s show? We are keen to ensure Nickelodeon remains the home of preschool and that BLE delivers us some exciting new partnerships and retail campaigns for our key properties.